Cassel completed seven of 17 passes for 59 yards and one interception across two game appearances in 2018. Analysis: Starting quarterback Matthew Stafford played through a list of injuries all season long, and Cassel consequently made just two appearances on the year, once when the Lions blew out the Jets in Week 1 and another in Week 15 on the opposite side of a blowout against the Vikings. The 36-year-old Cassel will now enter the offseason as an unrestricted free agent, though it's possible the Lions could bring back the USC product for another go-around in 2019. Cassel completed five of 11 passes for 45 yards during Sunday's 27-9 loss to Minnesota. Analysis: Cassel replaced starting quarterback Matthew Stafford once the game got out of hand in the fourth quarter. 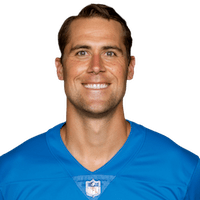 Considering how little the Lions to play for entering Week 17 -- coupled with Stafford's noted health issues with his back -- we could possibly see another Cassel appearance during Detroit's season finale in Green Bay. Cassel has surpassed Jake Rudock for the No. 2 spot on the Lions' quarterback depth chart, Kyle Meinke of MLive.com reports. Analysis: Cassel had been working behind Rudock during OTAs, but it appears a late swap on the depth chart has occurred. The veteran signal-caller has plenty of experience under his belt, appearing in 15 or 16 games in three straight seasons from 2008-10. There's still a lot of time remaining before the season starts, but Cassel sits in good position as training camp approaches. The Lions are nearing agreement on a contract with Cassel, Mike Garafolo of NFL Network reports. Analysis: Cassel provides the Lions with a veteran backup option behind starter Matthew Stafford. Jake Rudock is also in the team's quarterback room, but the 35-year-old Cassel may have the upper hand for the No. 2 job, given his 81 games of NFL starting experience since 2008. Cassel was released by the Titans on Friday, Ian Rapoport of NFL Network reports. Analysis: Cassel was horrific in his one fill-in start last season, throwing for 4.4 yards per attempt in a 16-10 loss to the Dolphins in Week 5. He'll turn 36 in May and may need to compete for a backup job if he decides to continue his career. 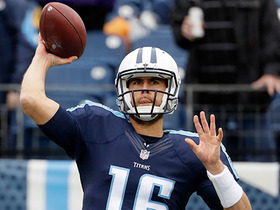 The Titans are left with Brandon Weeden, Alex Tanney and Tyler Ferguson behind Marcus Mariota. The team likely will seek a backup QB upgrade in free agency or the draft. 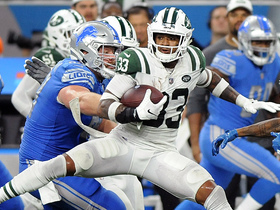 New York Jets safety Jamal Adams intercepts Detroit Lions quarterback Matt Cassel for an overall fifth interception of the game. 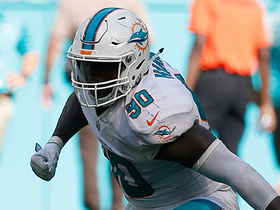 Miami Dolphins defensive end Charles Harris earned his first career sack on third down late in the fourth quarter. 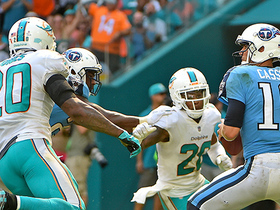 Miami Dolphins safety Reshad Jones blows past the Tennessee Titans offensive line and nearly forces a safety on quarterback Matt Cassel. 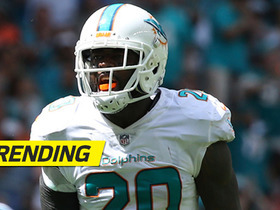 Miami Dolphins safety Reshad Jones picked up a loose ball off a forced fumble and scores on a heads-up play. 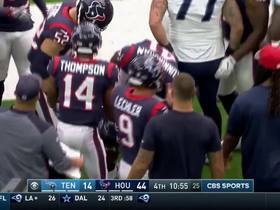 Houston Texans defensive end Jadeveon Clowney gets to Tennessee Titans quarterback Matt Cassel and forces a fumble that is recovered by defensive tackle Brandon Dunn. 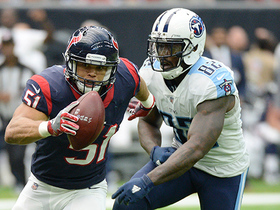 Houston Texans linebacker Dylan Cole picks off a pass thrown by Tennessee Titans quarterback Matt Cassel and returns it for a touchdown. 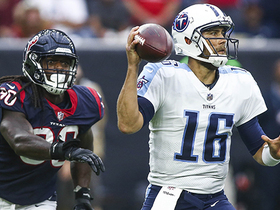 Tennessee Titans quarterback Matt Cassel is intercepted by Houston Texans safety Marcus Gilchrist. 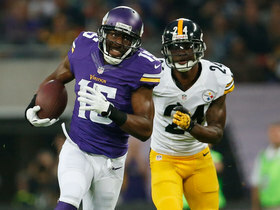 Minnesota Vikings wide receiver Greg Jennings catches a short pass from quarterback Matt Cassel and turns it into a 70-yard touchdown to give the Vikings a 10-0 lead. 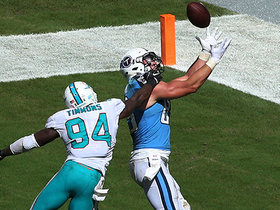 Tennessee Titans quarterback Matt Cassel goes deep to wide receiver Rishard Matthews for 50 yards.